Visiting the Wilmington, Wrightsville Beach, Landfall and Surrounding New Hanover County Areas. “The Port City,” Wilmington, NC, is a delightful and charming town bordered by the Atlantic Ocean and The Cape Fear River. Rich in history and culture matched only by southern hospitality and culinary treasures, Wilmington is an internationally favored locale. Wilmington offers an array of lifestyles and homes from historical antebellum to luxurious 21stcentury penthouses with a variety of communities and locations to meet any desire. Whether your needs include a growing family, an empty nest, or single occupancy, Wilmington has what you are looking for and it comes with great weather and a cornucopia of activities. Wilmington, long a “The Port City”, is home to a vibrant riverfront area in the heart of the Historic Downtown District as well as home to The University of North Carolina at Wilmington campus and two locations of Cape Fear Community College. She also is home to famed Thalian Hall for Performing Arts, The Cape Fear Humanities & Fine Art Center, Screen Gem Studio, The Cucalorus International Film Festival, Louise Wells Cameron Art Museum, Cape Fear Museum of History & Science, breathtaking Airlie Gardens and snowbirds traversing the Intracoastal Waterway from Maine to Florida. With properties found nowhere else, a culture of art and music, unparalleled local restaurants and some of the friendliest people on earth, Wilmington is the ideal area to raise a family, enjoy your retirement or begin a new career. Just east of Wilmington, Wrightsville Beach is where the Carolina waters of the Atlantic meet the expansive sand on one of North Carolina’s most accessible beaches. Wrightsville Beach has a relaxing summer resort feel while maintaining a vigorous social scene with a variety of restaurants and nightspots to match any taste. Wrightsville Beach is also one of the most spacious beaches in the Carolinas, hosting a multitude of water sport enthusiasts and home to several surfing championships. With a simple walk to the ocean or the Intracoastal Waterway, Wrightsville Beach is the prime location for anyone enjoying waterfront or dynamic beach living. Capturing the southern charm of the Greater Wilmington area, properties in Wrightsville Beach are designed to afford panoramic views of our coastal regions including the beautiful marshlands and unique aquatic and brackish plantscapes. Sunrises on Wrightsville Beach have been transmitted around the world and can be yours to treasure on a daily basis. If you’re looking for sun, sand and endless oceanic or waterway views, a reason to don your flip-flops every day, and a passion to explore a gorgeous, sun swept, seaside sanctuary… Wrightsville Beach is calling you home. Landfall is the perfect environment for families of all ages as well as retirees who enjoy biking, walking, and golfing on either championship course available to members. The soccer field and playground are continuously filled with Junior sports and family activities year-round. Other facilities include two internal postal stations, basketball court, volleyball court, two school bus stops. Landfall offers one of the only private, member-owned equity clubs on the North Carolina coast. The incomparable Country Club of Landfall maintains 2 golf courses with 45 holes, and a cutting edge sports complex with 14 tennis courts, an extensive fitness center, and an Olympic sized pool. Residents can also opt to take advantage of the community’s parks, lakes, and walking trails at their leisure. 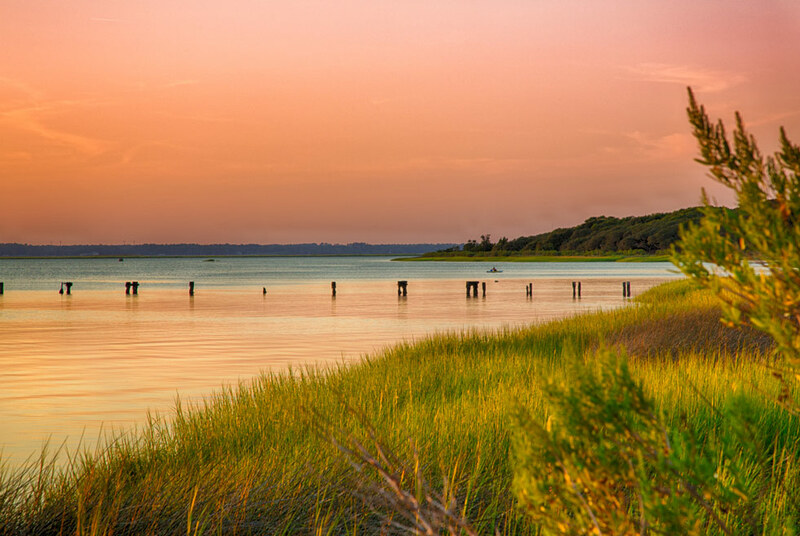 Across a private bridge lies the peaceful oceanfront community of Figure Eight Island. Mere minutes from Wilmington and Wrightsville Beach, the island is developed only by hundreds of privately-owned, single-family homes and vacation houses. Spanning 1,300 acres of sandy beaches and coastal beauty, Figure Eight Island offers tranquil residences within easy travel distance of more bustling towns along the North Carolina coast. It’s the perfect haven for nature lovers and sports enthusiasts, featuring ideal conditions for quiet strolls and bird-watching, as well as kayaking, surfing and biking. Once the exclusive home of wild ponies, this island remains largely undeveloped and hosts only single-family homes, providing a secluded corner for the locals from tourist hotspots. The area is also home to an avid boating community, and residents can enjoy the amenities of the Figure 8 Island Yacht Club. The barrier island remains one of North Carolina’s “best kept secrets,” one that you can explore when you look for your next home or dream vacation house. Located between Wilmington and Jacksonville, Hampstead is populated with thriving woodland scenery and beautiful coastal communities. Hampstead is the site of many notable festivals throughout the year, including the NC Blueberry Festival and the Coastal Carolina Air Show. Hampstead offers a gentle reprieve from the busier lifestyles found in Wilmington and Jacksonville, while still providing residents with a plethora of activities to enjoy in the mild, coastal climate. Once a collection of sleepy fishing villages, Hampstead still harbors a community of commercial and recreational fishermen and holds its maritime roots via the annual North Carolina Spot Festival in September. In addition to its small-town charm, the area also hosts four sprawling golf courses, historic Poplar Grove Plantation, and a solid base of local eateries and shops. Whether you’re looking for a single-family home, a condominium, residence in a gated community, or a retirement community, Hampstead has options for all ages, families and individuals.